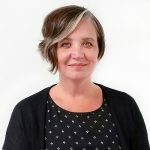 Rachel Anderson is a Training and Technical Assistance Manager on the Workforce Innovation Technical Assistance Center (WINTAC) team at National Disability Institute (NDI). WINTAC provides support and technical assistance to State Vocational Rehabilitation Agencies in the implementation of the Workforce Innovation and Opportunity Act (WIOA). For the past 18 years, Rachel has had the pleasure of working with people with disabilities in a variety of capacities, with 10 of those years being in the Vocational Rehabilitation Program. Prior to joining NDI, her focus was transition-aged youth with disabilities, Employment First Initiatives, supported employment for people with developmental disabilities and mental illness, and the creation of programs and policies to assist in community integration and competitive integrated employment. These opportunities provided her the ability to network with educators, adult service agencies, community programs, local families, universities, and many others striving to make an impact on the lives of people with disabilities. 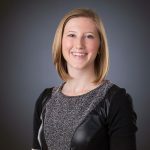 Rachel received her undergraduate degree in Social Work from Utah State University and her graduate degree in Rehabilitation Counseling from Virginia Commonwealth University. She is a nationally Certified Rehabilitation Counselor (CRC), a Certified Benefits and Work Incentive Practitioner (WIP), a Licensed Vocational Rehabilitation Counselor (LVRC) and Licensed Social Service Worker (SSW). Outside of work, Rachel enjoys spending time with her family, traveling as much as possible, teaching and finding new activities to try.